Mountain Meadows is a 55+ retirement community in Ashland, Oregon. Dedicated to the pursuit of active retirement living, Mountain Meadows has received awards for being among the best retirement communities in America. Nestled in Southern Oregon’s beautiful Rogue Valley, Ashland has been cited as one of the top retirement towns in the nation. The valley’s temperate climate allows four seasons of recreation: gardening, walking and hiking, bird watching, skiing and reading good books by the fire. An investment. At Mountain Meadows you own your own home, thus making a real investment even after retirement, preserving your estate. The variety of home styles and prices make our neighborhoods affordable. Maintain an independent lifestyle and stay in control of your life. No more moving! A menu of personalized services is available to you on an ala carte basis, allowing you to remain active and independent in your Mountain Meadows home. 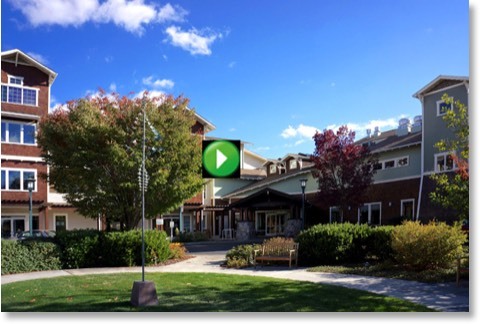 Discover Mountain Meadows: Video produced by our residents.